Welcome to Katfrog's Corner: With Great Art, Comes Great Fun!!! With Great Art, Comes Great Fun!!! Our local elementary school has a program called Great Artist, where a parent volunteer goes into the classroom, presents either an artist or a type or art, and then the kids get a chance to make their own work based on the artist or type of art. 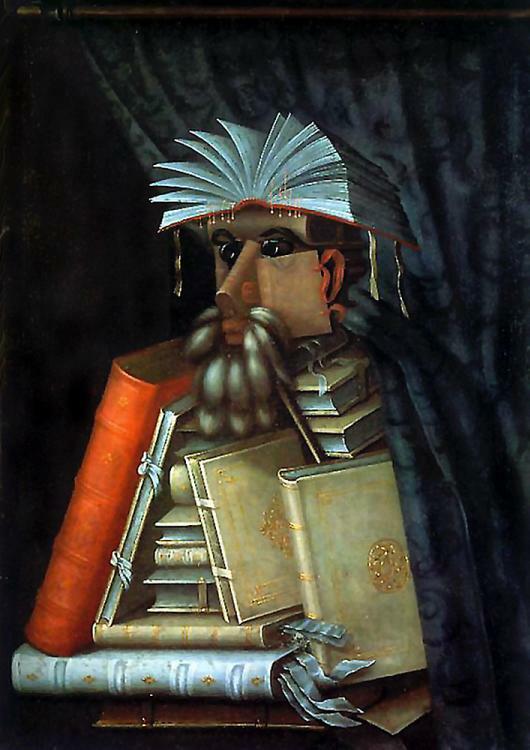 Yesterday, I went to my daughter's class and discussed Giuseppe Arcimboldo. 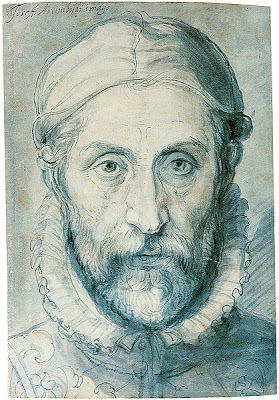 Arcimboldo was an Italian artist who lived in the 1500s. He worked on stained glass and tapestries as a young man, then he began to paint portraits of people and ideas using found objects. He worked in the courts of three different emperors before dying in 1593. Now comes the twist in the story. Most of Arcimboldo's paintings were captured/stolen by the Swedish Army during the Thirty Year War, leaving Arcimboldo lost in history until the early 1900s. That's when artists in the Surrealist movement found the paintings (I don't know the story of the finding). One of the artists was Salvador Dali, who studied and was influenced what we call The Arcimboldo Effect. Yesterday, the kids were also influenced by the Arcimboldo Effect. We looked at several of his paintings, discussing what objects he used to depict eyes, noses, mouths, and ears. Then came the fun - I asked the kids to draw a face using found objects, preferably with a theme (such as the elements or seasons). What happened next was pure magic. One child drew a face with butterflies; another used junk food. A couple of kids used sports as the theme to make portraits. My daughter used red as the theme and created Bloody Mary (the queen, not the drink). Basically, the kids created more interesting portraits than I even considered. That's why I love doing Great Artist - to see the look of wonder as the kids create something that even they didn't know they could. By the way, if you want to see the paintings that I showed the kids, you can find them at http://www.wikipaintings.org/en/giuseppe-arcimboldo/. What fun! I looove Arcimboldo's art. We saw a small exhibit of his once. He was incredibly clever. That reminds me, have you ever seen any of Saxton Freymann's books (e.g. "Baby Food")?